Since November 4, 2017, GLO President Klaus F. Zimmermann (Co-Director of POP at UNU-MERIT & Maastricht University) is visiting Australia for research and seminar presentations. 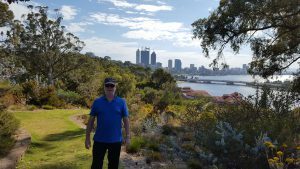 On November 10, he spoke on a well – attended seminar at the University of Western Australia (UWA) in Perth about the role of migrant status at host country entry for economic performance; he also exchanged views with a number of GLO Fellows in the staff of UWA. On November 16, he will give a seminar on European migration policy at Melbourne University. GLO President Zimmermann has been granted the prestigious Australian Eminent Research Scholar Award. He is resident in November and December 2017 at The Melbourne Institute of Applied Economic and Social Research of the University of Melbourne, Australia. The Melbourne Institute is Australia’s pre-eminent economic and social policy research institution. Renowned for developing longitudinal research tools and using data to build an evidence base for reform, the institute has been powering effective change for more than 50 years. 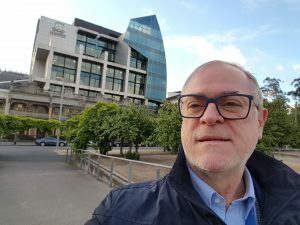 During his Australian visit, Zimmermann will give further public lectures and research seminars including at the Inaugural Conference of the Asian and Australasian Society of Labour Economics (AASLE) and the Australian Labour Market Research Conference (ALMR) in Canberra at the premises of the Australian National University in December 2017; he will also speak in Wollongong, Sydney, Adelaide and Brisbane.